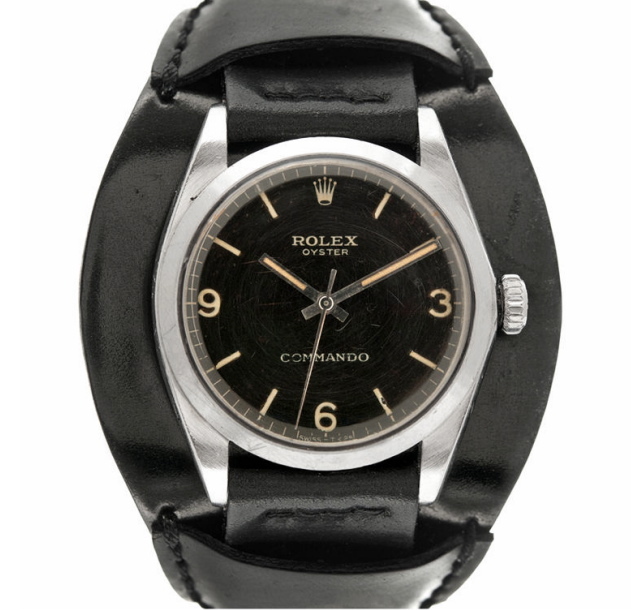 Released in 1972 for one year only, the Rolex Commando, a Spartan version of the Explorer, was the cheapest model in the famed Swiss watchmaker’s catalog at the time. Today, of, course, it is extremely rare, desirable and all-but-impossible to find, though find one we have – this perfectly-patina’d number, from California’s Fourtané, will set you back a cool $25,000. Read more at DRIVEN. This entry was posted in Style and tagged Driven, Rolex, Rolex Commando, watches. Bookmark the permalink.